It’s alive! LINK is free to run amok in the world. HAPPY RELEASE DAY TO SUMMER WIER! I have read this and enjoyed it SO MUCH… my review to be posted here on Monday. So if you like science-y, fantasy coolness, give this one a shot. Join her on Facebook today for a release day party! 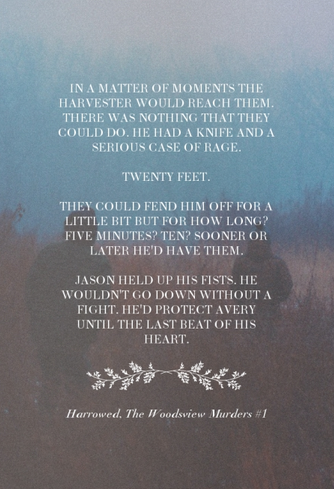 For seventeen-year-old Kira, there’s no better way to celebrate a birthday than being surrounded by friends and huddled beside a campfire deep in the woods. And with a birthday in the peak of summer, that includes late night swims under the stars. Or at least, it used to. Kira’s relaxing contemplation of the universe is interrupted when a piece of it falls, colliding with her and starting a chain of events that could unexpectedly lead to the one thing in her life that’s missing—her father. Tossed into a pieced-together world of carnivals and gypsies, an old-fashioned farmhouse, and the alluring presence of a boy from another planet, Kira discovers she’s been transported to the center of a black hole, and there’s more to the story than science can explain. She’s now linked by starlight to the world inside the darkness. And her star is dying. 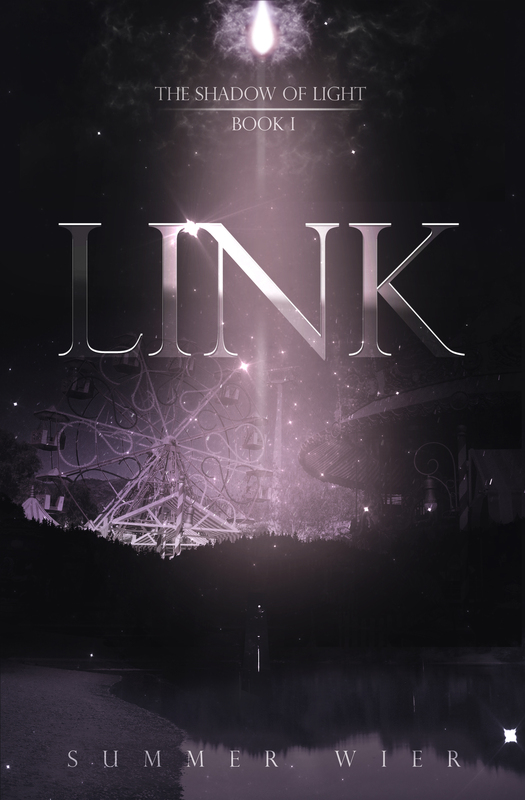 If she doesn’t return home before the star’s light disappears and her link breaks, she’ll be trapped forever. But she’s not the only one ensnared, and with time running out, she’ll have to find a way to save a part of her past and a part of her future, or risk losing everything she loves. 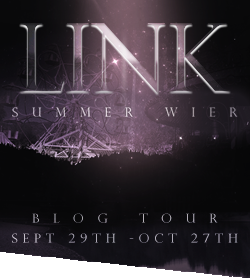 Dreamy, fluid, and beautiful, Link pairs the mystery of science fiction with the minor-key melody of a dark fantasy, creating a tale that is as human as it is out of this world. There is a trailer and it is gorgeous! Go see it here. 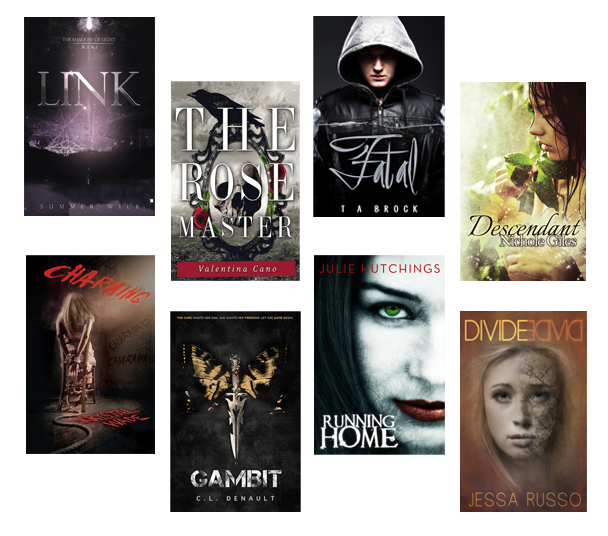 Last but not least… want a chance to win some very cool books? So, no one told me when I began the journey of I-want-to-be-a-writer about all the waiting. and that final golden ray of sunshine, to be published. But, hey, writing is hard. Should we send a nice e-mail asking how things are going? Should we prod for a bit of information? Should we reach out, desperately hoping for the answers we crave? Some submission guidelines state to contact them after a certain amount of time. There you go. Others? So many different opinions from so many different writers. Each driven by unspoken writer “rules”. I submit that there are no correct answers. Wow. Is that incredibly unhelpful or what? I know. So… it’s been a few months since you queried, since you sent your partial or full ms and you want to “nudge” as we writers so nicely call it… do it if you absolutely have to. Or maybe, just wait. Agents, editors, and publishers aren’t sitting around staring at your query or ms thinking how fun it will be to… not answer you. You wait, because it’s part of the job. The part no one tells you about. We all want answers. We all want to think we have some control over our lives, so we can move on with all our knowledge-y knowing stuff. To be honest, I’m good with waiting. Sure, I get a bit anxious now and then, but I can usually change my focus. I don’t need anyone to hold my hand. I’ll just skip off and play. 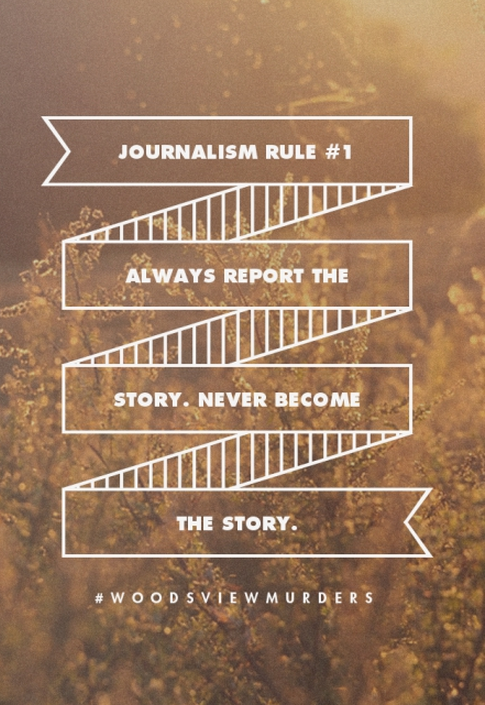 My main frustration happens when no one else understands this, when others keep asking if I have news. Don’t I deserve to be in the loop? The loop? I don’t know. When things I should know pop up, I trust that I’ll be put in said loop. Can’t I just ask a few questions here and there? I suppose, but I’ve never been one to do that. I don’t want to bother all the busy people. And, yes, I’m important. And, yes, I deserve to know about things that impact my life and work. And, yes, answers are good. However, I’m pretty independent. I’ll sit happily in my part of the world and amuse myself. I trust the process. I give my control to the Great Unknown. I belong to a fabulous writers’ group… The Summit City Scribes of Fort Wayne, Indiana. Yesterday…we’ll look past he whole I had to read my chapter… we had a visitor to our group. This happens. People come, some stay and some don’t. However, this visitor asked interesting questions, questions that lurked in my mind long after the meeting had ended. Why were we there? What did we get out of the group? What did we want…were we there to get published and make money? Our visitor said that she writes for herself and doesn’t care if anyone else reads it (then she asked how to publish her words, so maybe she does want people to read them?). People have read her work and made comments, but this author didn’t see the point in those comments, since it meant she had to justify what she wrote. So why do we meet twice a month and read our work? Why are we there? I have to admit, my immediate reaction was not all smiles and giggles. Why should I justify my choices? So I stewed in my juices, keeping my opinions to myself. But it got me thinking. Why do I attend meetings? What do I what? Why am I here? First and foremost…to improve my craft. To receive comments in order to spark my writer’s brain into making every word count, every scene sing, and make sure every story takes the reader on a fantastic journey. My writers’ group does this. We focus on writing. But I am not there to justify what I wrote. If my story doesn’t make sense to a reader that’s my fault and I need to fix it. We do talk about publishing. Our group has writers in all genres, all categories, from self-pubbed to agented to working with small presses. We do talk about marketing, though this is not our strength. How do we get our words into the hands of the readers? Do I want people to read my words? Darn tootin’ I do. I would even like a few people to enjoy what I write. Do I want fame and fortune? No. Wanting that could drive a person insane. I have stories to tell. I want to introduce to people to the worlds that exist only in my mind. I go to critique group, I ask people for comments so I can do this to the best of my ability. It works for me. I do think that it will work for most everyone. Writing, a task you do by yourself, but can’t finish alone. However, I accept that it might not be the path everyone chooses, that for some what others think has no place in what they write, that they truly write for themselves. Maybe self-pubbing those words is just the final step in their process. And either way, we never need to justify our decisions. We just need to be happy with them. That’s me today. Anxiety is running high. I repeat my schedule. Over and over, I chant all the things I have to do. The feeling that I am forgetting EVERYTHING won’t go away. So I repeat the list, trying to make a plan. A plan I can’t follow, because I can’t focus. I wander around the house. The laundry must be done right now, the dirt on the floor suddenly bothers me tremendously, I write things down on my calendar and set the order of the to-do list in my mind, which I repeat. Over and over. And it’s not just my to-do list. My husband works a lot. He has things he wants done, so turns to me. I’ll do it all wrong. I’m not good enough. I’ll forget something… everything. These are the days I want to hide in a corner. My logical mind (yes, I have one of those!) calmly says that it’s fine. Everything is fine. I can handle it. I will get everything done and there’s nothing I’m forgetting. Don’t worry, it’s not as terrible as it sounds. The fabulous Faith McKay has tagged me to participate in this fun blog trippety trip. 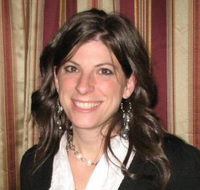 You should go meet her on Twitter and The Midnight Society and on her blog. If you love Frankenstein, you’ll get along famously. Seriously, she’s awesome. 1.Thank the person who nominated you with a link back to his/her blog. 4.Create 11 questions (or less) for your nominees. 5.Let the nominees know that they have been nominated by going to their blog and notifying them. 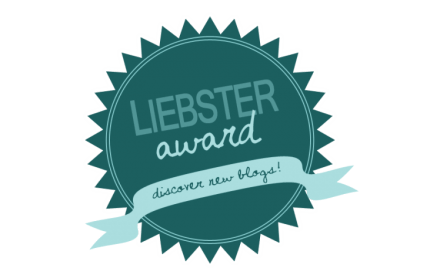 6.Display the Liebster Award logo on your page. 7.List these rules on your post. What’s your favorite gif right now? What’s the last book you read, and loved? What did you like to read in high school? I read a lot of high fantasy… Terry Brooks Shannara series, Raymond E. Feist, David Eddings, and then my dad handed me The Talisman by Stephen King and Peter Straub, which sent me on the road of horror for the end of my high school years. Favorite social media site? Link us to your account! If you could have the best seats to any concert right now (ANY concert, so it’s okay if the band hasn’t played since 1962) what would it be? Band? Ummm… I’d rather go listen to a full orchestra play Mahler and Wagner. They’ve made Girl Meets World and now Fuller House. If you could bring back any TV show from your childhood, what would you have them make? Star Trek. I lived for Captain Kirk, Spock, Bones, and Scotty. I know there have been many spin offs, but I would love a bit of going where no man has gone before. What is your best Halloween memory? Trick-or-treating. My dad would take us all over to collect plastic pumpkins full of candy. Back then there were no hours. No rules. We’d go everywhere. I loved wandering the streets on the spookiest night of the year with the leaves skittering across the road and crunching under our feet. Fabulous. If I came to visit you what would we do? What is the neatest thing you’ve ever participated in? What will you be for Halloween, if you can be anything? Imagine your dream costume. When you carve your pumpkin this year will it be scary or cute? If we had a TARDIS where would we go? Past? Future? Or another world? There you have it! Thanks Faith for including me. My rut is well worn. I don’t like to leave my happy, well-known places. 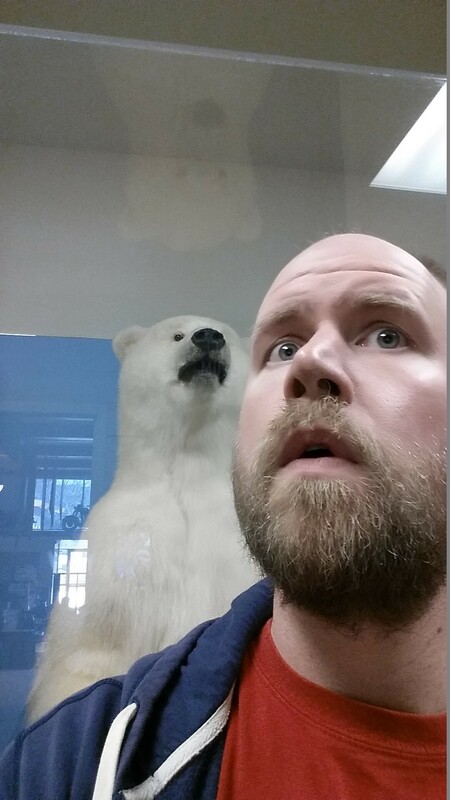 Dude, it’s scary out there. Life required me to deviate from my master plan of never changing. There wasn’t much of a choice. And I did it with little anxiety… color me shocked! And, it was okay, well, actually it might be my new happy place. In my eleven years of writing, I NEVER let anyone see a first draft. Never. The thought made my eye-balls bleed and my body go into convulsions. No one should see that terrible first draft, the vomit draft… you don’t want to show people the vomit. Truly. So, I would draft, then revise about three hundred times, THEN let people read it. This has worked for me. Ummm… I don’t have anything. Haven’t you started that sequel you’ve been world-building and planning? Ooooo…kay. BUT IT’S TERRIBLE AND A FIRST DRAFT AND I NEVER LET PEOPLE SEE THOSE! Anyway, that horrible first draft has now been critiqued by two different groups. And WHY DIDN’T I DO THIS SOONER? All those years I spent revising in my little bubble, digging a deeper and deeper hole stuck in all my thoughts about the manuscript. Then when finally I get feedback, I don’t know what to do, because I am staring at this thing I don’t know how to change. When I get feedback for a book I am in the middle of drafting, I can make notes, and keep writing, using all the light bulb moments that came from comments to make the following chapters better. Forget all the terrible sentence structures. Forget the way I repeated a word five hundred times. Forget the passive voice. I can fix that a heck of a lot easier than reworking the plot. Critiques are less painful when I am not so invested in the words. It’s a first draft… WHO CARES!!! Seriously, I was less jittery and sweaty. So I am a changed person. This ms will be critiqued as a first draft, as I write the thing. 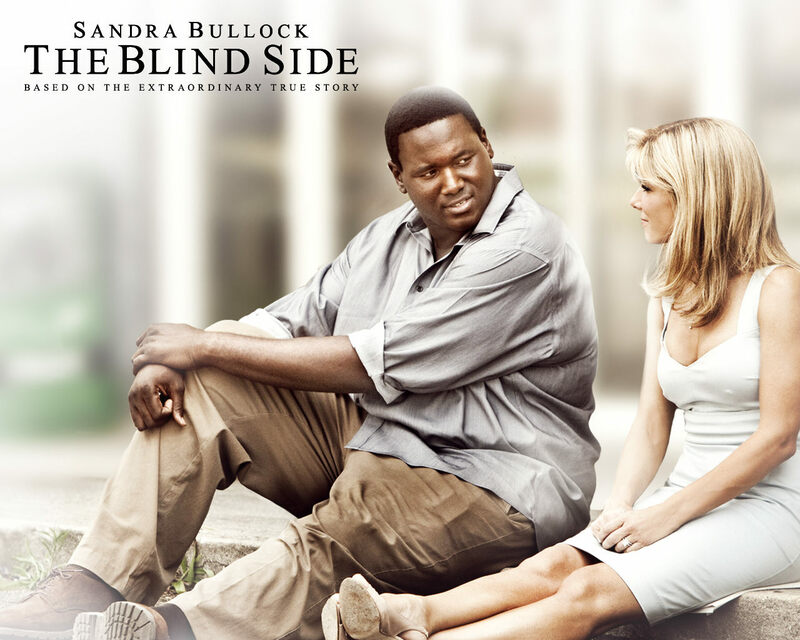 The Blind Side is one of my favorite movies. I don’t know all the lines, but I do know the feels. It gives me hope for the world. And the world needs hope. It’s getting frightfully hazardous out there. Every time I turn on the TV or my computer, a tiny bit of panic creeps into my brain. What terrible thing will I see? What angry words will fill my screen? More and more hate covers our lives. Those words. They inspire other angry words. They don’t change anything. Ranting about what’s wrong with the world, won’t change it. See a problem? Act. Put aside judgement. Stop yelling. Stop pointing fingers and throwing out meaningless words like right and wrong. Everyone gets to have their opinion. We should know by now that words will not change those. It’s not about changing opinions, not about screaming louder, but about acceptance. I tell kids all the time. I’ll let you have your opinion, but you have to let me have mine. 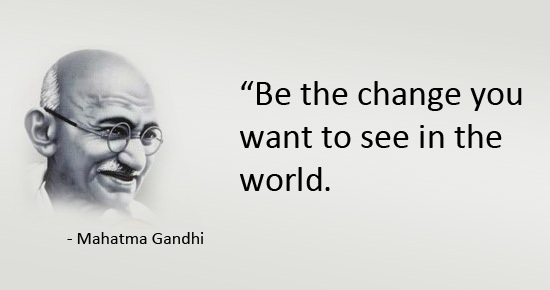 However, actions- quiet actions can make the world better. Don’t try to change anyone, just follow your heart. Making the world a better place starts in our own little worlds, in our homes and towns. The smiles we plant will spread. I am excited, people… EXCITED about this book! Written by a couple of my favorite people, my friends at The Midnight Society… follow them, get to know them, you won’t regret it. Brian LeTendre is the writer of the Parted Veil horror series, which includes Courting the King in Yellow, Lovecraft’s Curse, and Lovecraft’s Pupil. A gaming, comics and horror lover, Brian has co-hosted and produced a podcast about geek culture called Secret Identity since 2006, producing well over 1000 hours of programming. He also hosts and produces three other podcasts about writing (See Brian Write), design and small business (Kitbash Radio) and gaming (Co-Op Critics). In addition to podcasting, Brian has worked as a freelance games journalist, and currently writes a webcomic called Mo Stache, which can be read for free online and will be collected in print in 2016. Brian lives and works in Massachusetts. 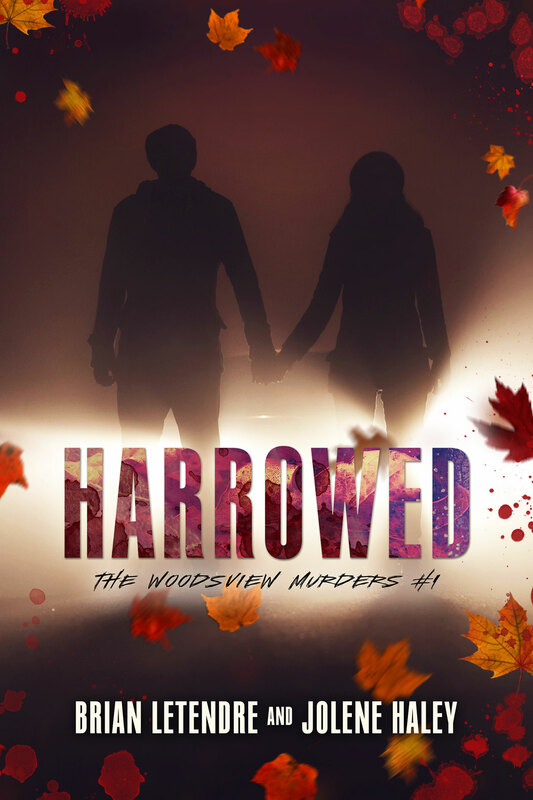 Jolene Haley is the author of the Woodsview Murders series, Harrowed (out 9/22/15) and Haunted, coming fall 2016. 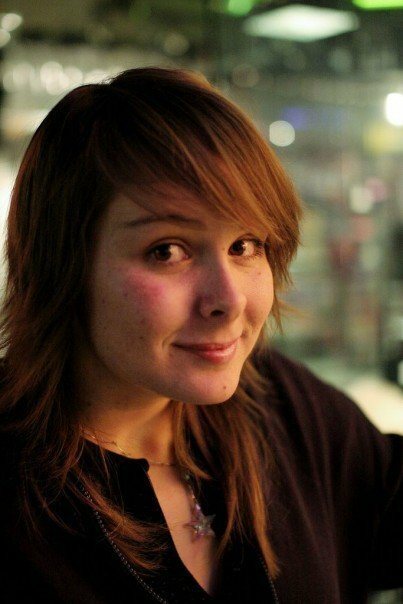 She’s also the curator of the best-selling horror anthology The Dark Carnival through Pen & Muse Press. She runs a YA horror blog The Midnight Society, the author resource site Pen & Muse, and Hocus Pocus & Co., a small horror press. She writes every genre under the sun, but prefers horror. And before you go… there’s a giveaway! Diana is part of my lovely Sunday Skype critique group called The Walrus Writers. Yes, walrus. Don’t ask, long really strange story. Go find them on Twitter because they’re awesome. E.L. Wicker… Natasha Raulerson… and Diana Pinguicha (AND I TOTALLY JUST SPELLED HER LAST NAME CORRECTLY WITHOUT LOOKING!). We take turns sending our work to everyone to receive all the comments… or duck out of our word sending responsibility, because there just aren’t any. We chat about our words, our fears, our problems in writing and real life. Mostly we laugh. And most important, we encourage each other. We all write and read different books. Each of us is on a different section of the road of life, a different stage of our writing careers. We’re all on different paths (self-pub, agent, and small press) and it doesn’t matter. We are a team. There is so much love. Can you feel it? When one of us succeeds we all celebrate. When one of us struggles the rest of us feel it. And this is what I want to address today. The struggle. Self-doubt stalks you like a shadow, hiding your dreams. The contests you enter aren’t going to give you what you want, forget them! That is not your path. So… eat your banana cake, then shove that darkness out of the way and find your dream shining, gleaming. It is yours to have, yours to take, yours to make come true. And you will. For even though the rejections gnaw at your faith, you are meant to write and your words will find their way to just the right person at just the right moment. That’s a mystery. But don’t forget to enjoy the journey. Our writer of fantasy and fabulously twisted character creator. I love the way you comment with swear words on my chapters and stories. I love how you talk tech, even though I have no idea what you’re talking about. I love that I get to be with you on your journey to make your dreams come true. So when you forget to have fun and let life get you down, we will hold you up. We will remind you that you have talent pouring out of every pore. The future holds so much fabulousness for you. So query. Bring on each rejection, then set them on fire, knowing that each ‘no’ takes you a step closer to that one ‘yes’. When it feels like it will never happen, take a breath, play a game, cuddle with all your pets… then keep writing. PS. I hope this makes up for not having a poem prepared last Sunday. I just finished watching the movie 13 Going on 30. Again. I know you know it. I’m on this funny feel-good movie kick, don’t worry it won’t last forever. If you haven’t seen this movie, it’s about a girl, who on her thirteenth birthday, is magically (a little fairy dust action) transported to her future where all her wishes had come true. But life isn’t what she expects it to be, she’s not who she wants to be. When your wishes are granted life SHOULD be fabulous, right? Well… maybe not. I was trying to remember being thirteen and what I wanted. Let’s see… I turned 13 on the last day of 1985… I was in 7th grade. It’s hard to remember, I barely know her anymore. I wanted to live by myself in my own little apartment with tons of cats. I wanted to be a part of a group, the popular group. I am an artist, but not like I had envisioned. I don’t have paintings hanging on some wall so people can stare at them and ponder their meaning. Good thing. I would hate that. I might be happy living alone with cats, becoming the crazy cat lady, but I am pretty darn happy with being married with two kids, living in our house. I do have cats, but only four. Not to mention the dog, two tortoises, and some fish. That thirteen year old girl, who really wants to be liked, still resides deep in my mind. I never belonged to the popular group. For a long time, I thought something was wrong with me. I’ve gotten over that. I’ve embraced my inner weirdness and will share it with those who can handle it. As dear thirteen newly turned thirty year old Jenna Rink discovers in the movie, sometimes wishes should never be granted. Sometimes those wishes you clutch in your hands need to fizzle and fade. One thing is certain, no one should chose what their life should be at thirteen. There’s so much more to learn, to know about ourselves. If we are wise, we’ll keep our mind open and listen to the Universe. The Universe knows more than we do. When those wishes go ungranted, have no fear, all will be well. What’s strange? My daughter turned 13 last month. What are her wishes? What does she want from life? From what I see, she’s much more comfortable with herself than I was at her age.